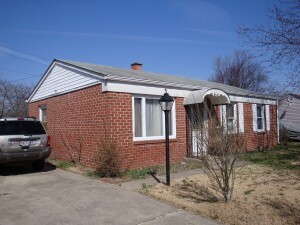 BuyBaltimoreProperties.com | *No Longer Available* ~ 3Br/1Ba – Single Family Detached Home in Suburbia Glen Burnie – Rent to Own for $1,495/month w/ 4% Down! *No Longer Available* ~ 3Br/1Ba – Single Family Detached Home in Suburbia Glen Burnie – Rent to Own for $1,495/month w/ 4% Down! Quiet, Peaceful & Very Suburban! — The Neighborhood’s Name Says It All! > SUBURBIA, Glen Burnie! – Natural Light Comes in at all times of the day! – Safe Neighborhood — Great for Kids! Want to view this home? Submit your FREE, no credit check application TODAY! Quiet Suburbia in Maryland...literally, Maryland's best kept secret is the Suburbia neighborhood in Glen Burnie, Maryland of Anne Arundel County. Complete with street names like Sunnybrook Drive, Pleasant Point Road and Meadowvale Road, Suburbia is ideally located between Glen Burnie’s Furnace Creek and Marley Creek, but not too close to the water where the home values go beyond most folks affordability index! And yet the waterfront is just a brief walk away! Immediately upon entering the neighborhood you notice the wide, open streets that even when folks park along the curb you don't feel the clutter of growing households. So no zig-zagging to your driveway or having to wait until the on-coming car drives by! Each Suburbia home has a lot large enough to accommodate full front and back yards and extra wide driveways…unheard of features in a lot of the newer neighborhoods. These homes were built when space and the ability to expand weren’t considered a “amenities”…it was just a basic expectation. I think this design layout alone of wide streets and larger lots is key to a nice, quiet and peaceful environment. Sure these homes built in the 60’s are older, but at least you’re not practically on top of each other with no room to expand. And there’s not a bit of the “cookie-cutter” every-house-looks-the-same feel as there’s plenty of unique variety with the rancher, rambler & split-foyer style homes throughout. Anne Arundel County is known as the “land of pleasant living”, and Suburbia, Glen Burnie is no exception…in fact, it’s a stellar example! Furthermore, Anne Arundel County has one of the strongest economies in the State, ranked as one of the top counties in Maryland job growth. Let’s face it, in today’s economy EVERYONE should be considering such statistics and target a home neighborhood that has strong stability projected for decades to come.